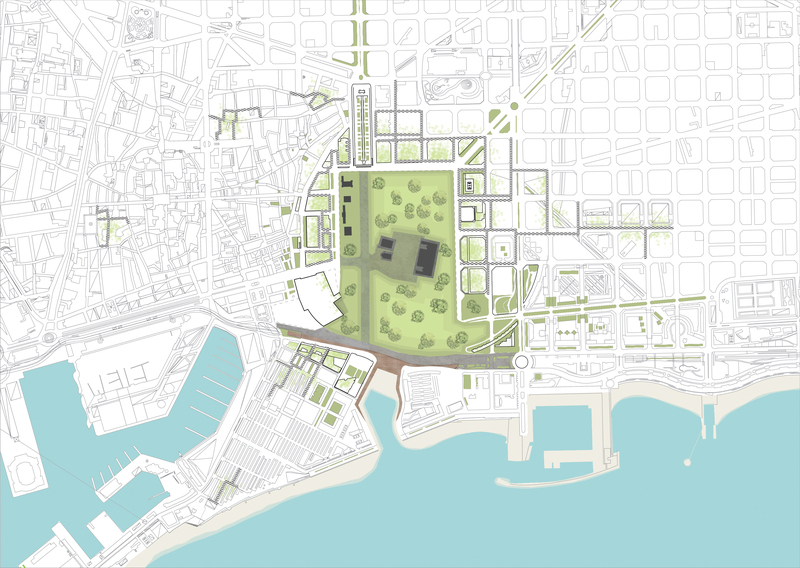 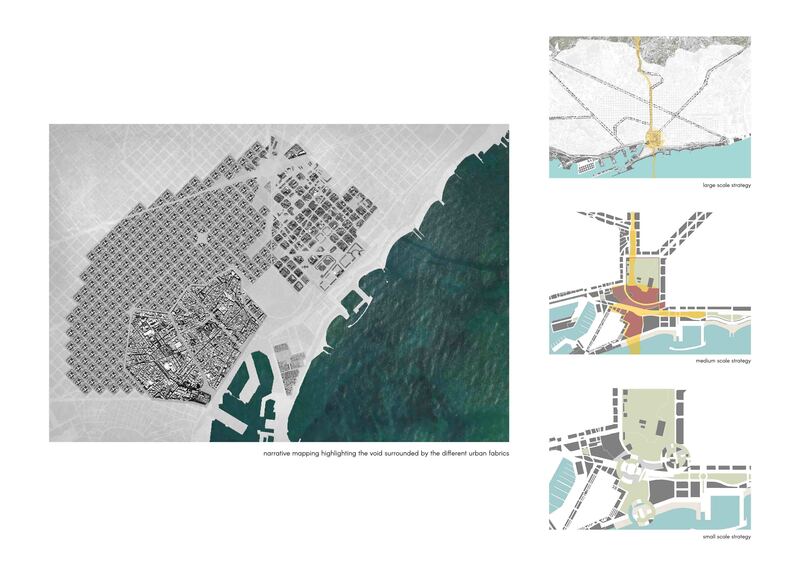 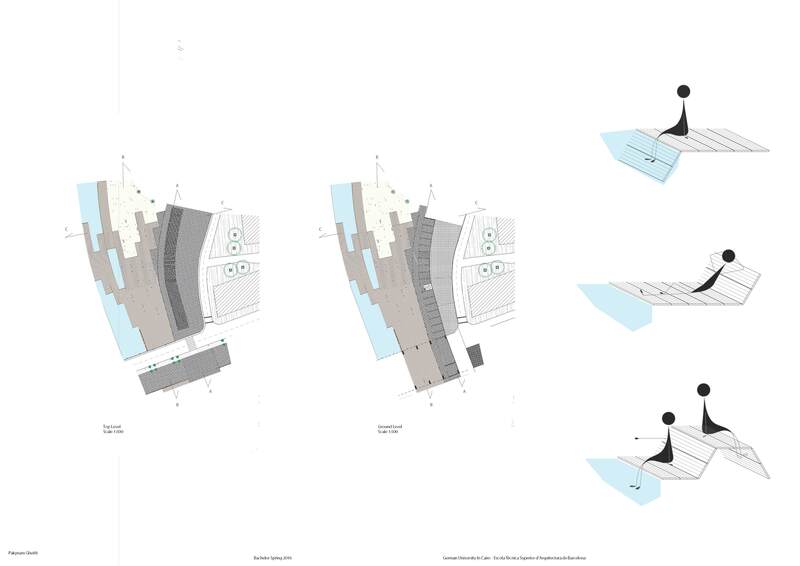 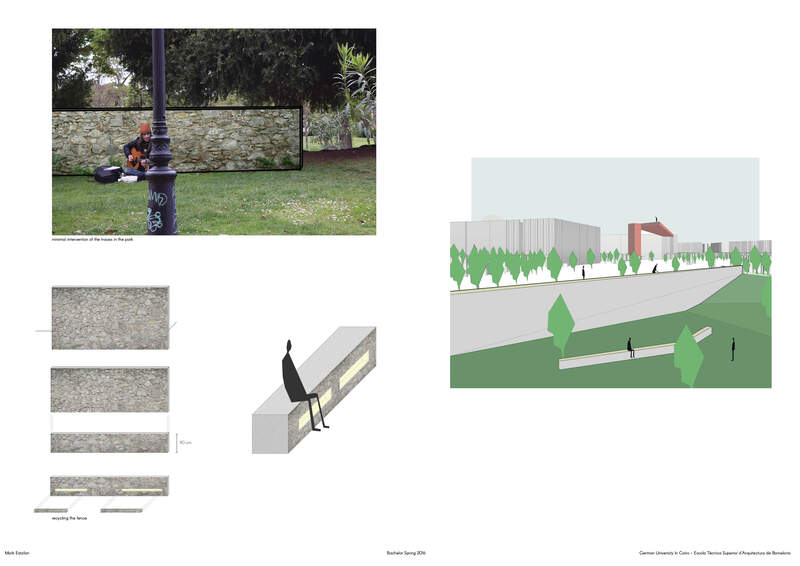 BACHELOR THESIS in Urban Design " Sewing the City_The Citadel and the sea"
The Bachelor course took place in ETSAB UPC in Barcelona, 20 students from the German University in Cairo, after searching and analysing the city each group had to find a strategy to develop and generate a masterplan and then each individual develops a fragment in the masterplan on his own but respecting the general strategy of it. 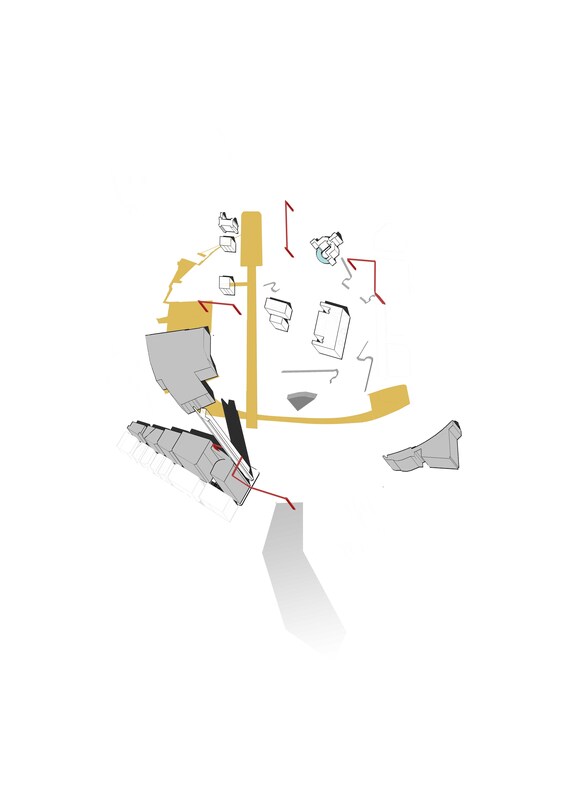 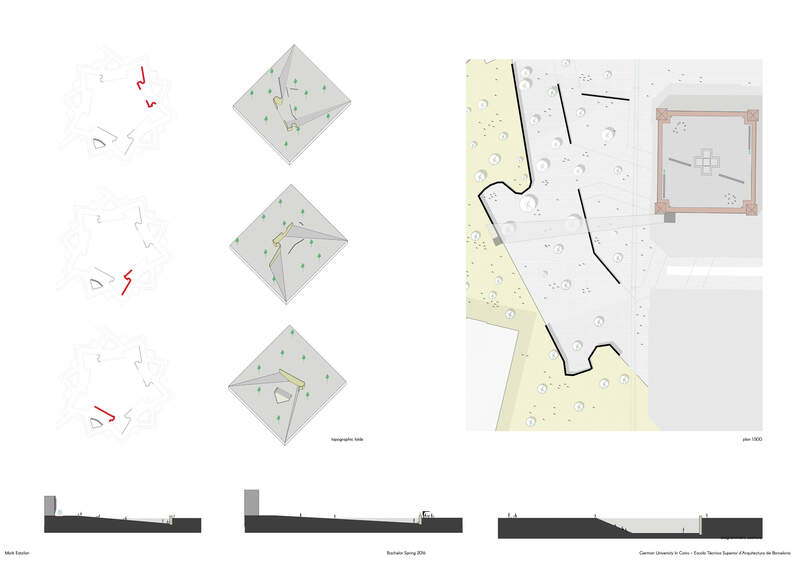 The studio concentrates on a design problem addressing the urban dimension in architecture. 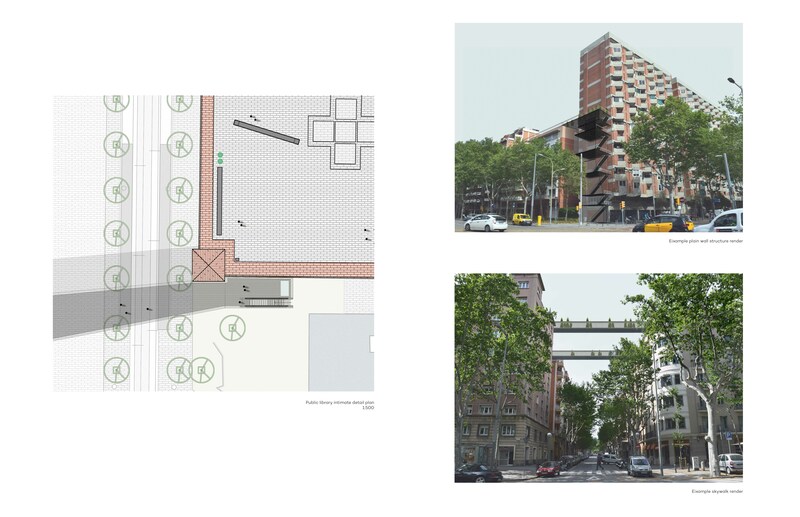 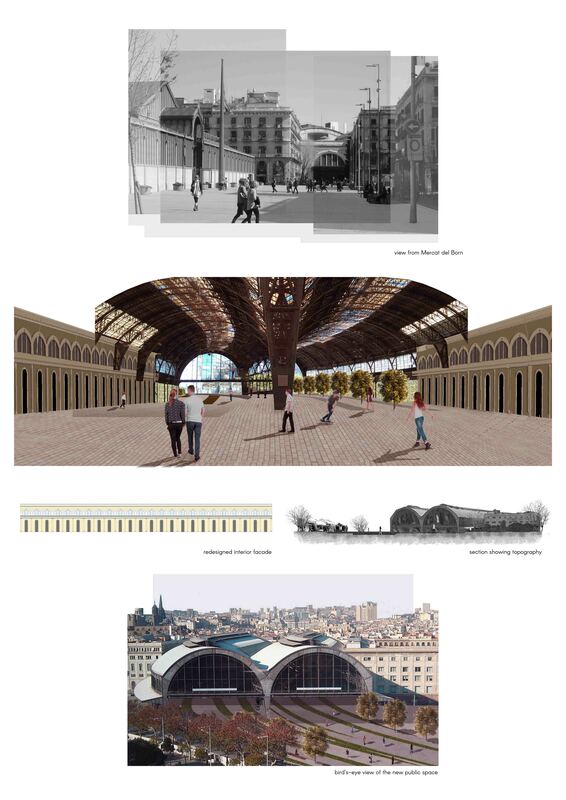 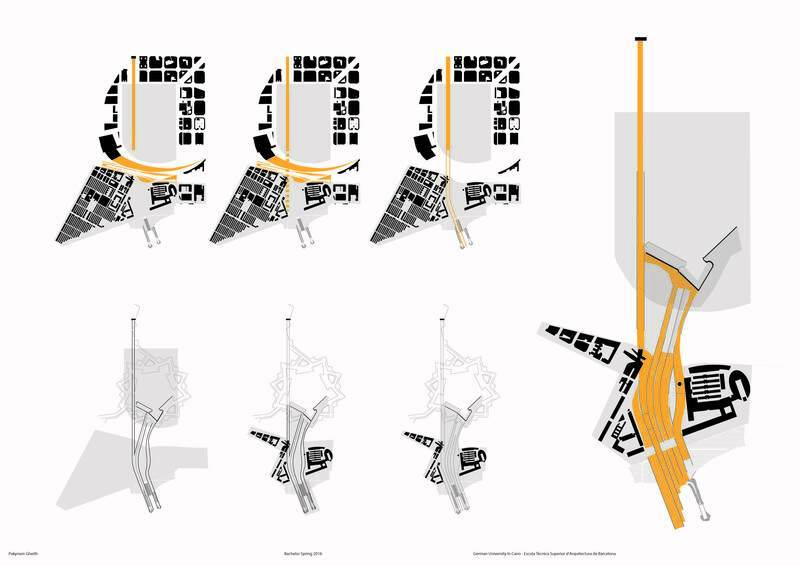 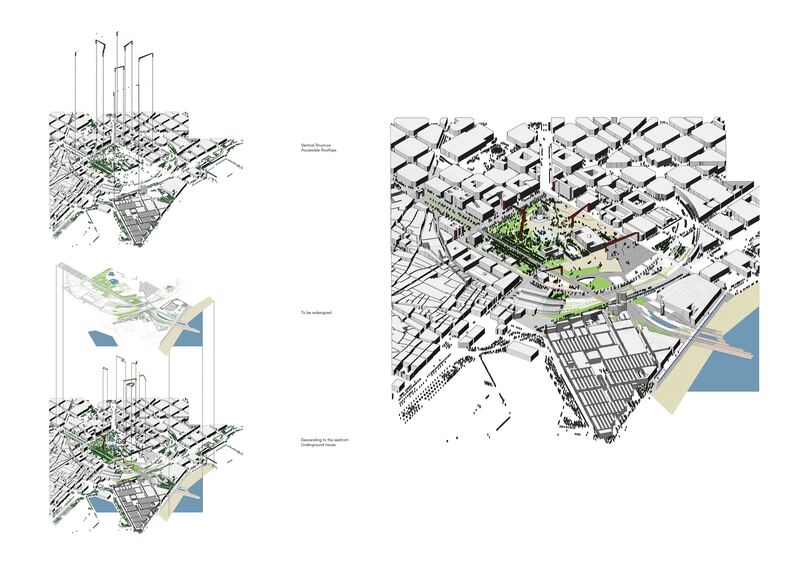 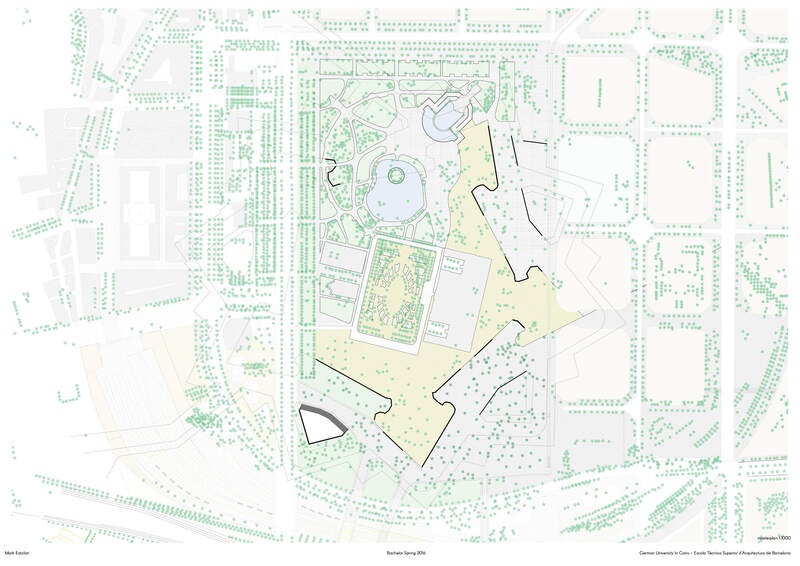 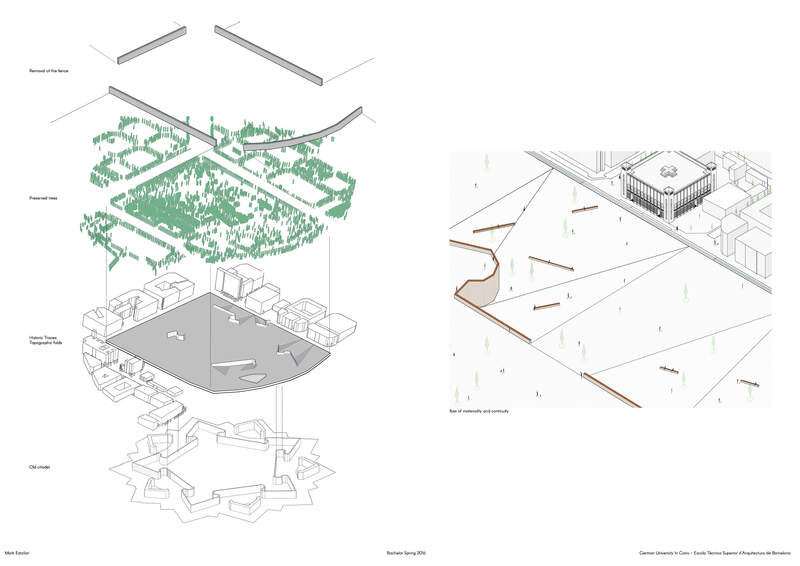 Urban proposals with the potential of reconfiguring the qualities of the city beyond the limits of the intervention develop simultaneously the architectural, landscape and infrastructural dimension. 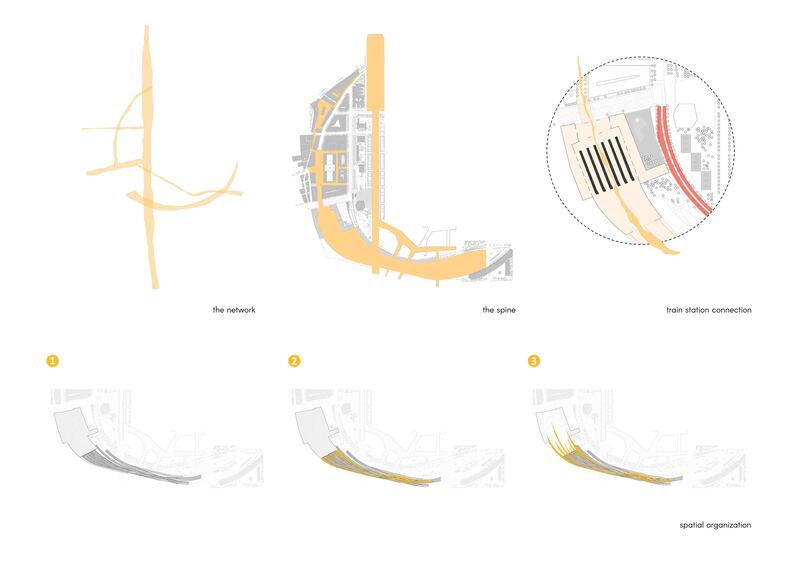 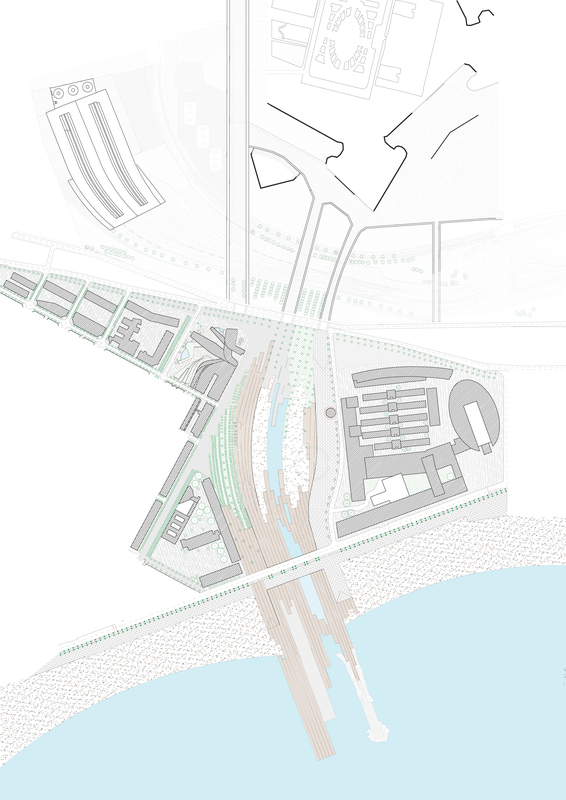 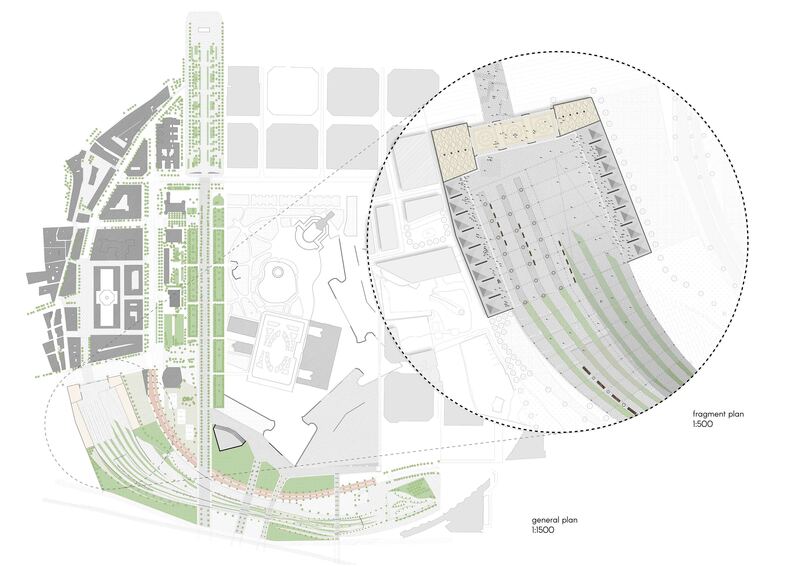 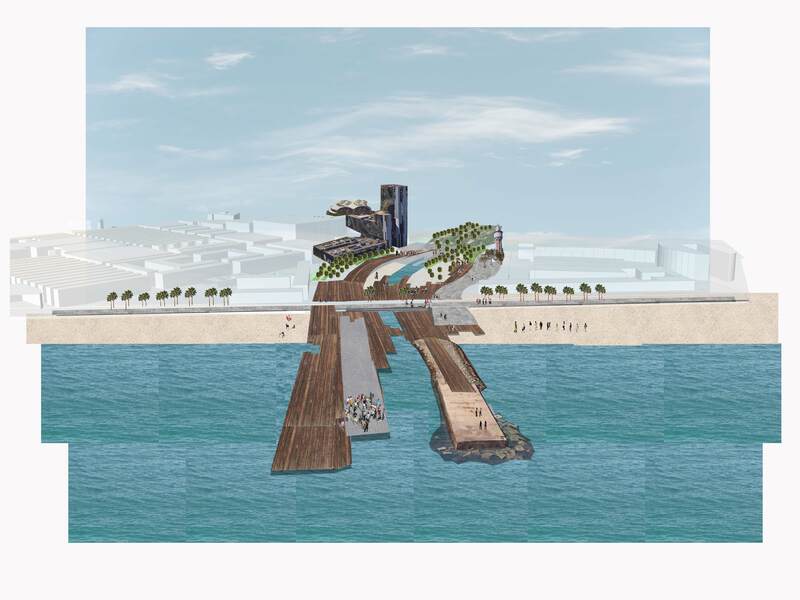 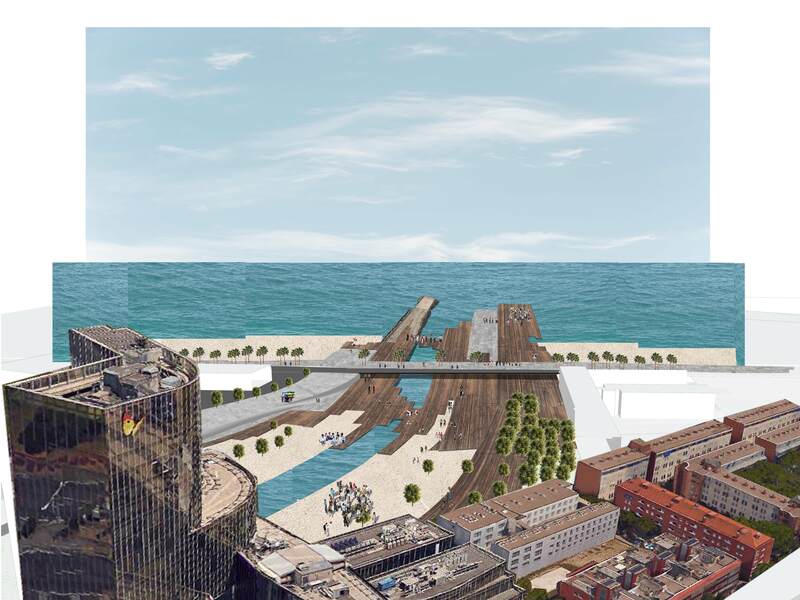 This not only introduces the possibility of connecting both sides of the train and traffic infrastructure on a nuclear node, but also allows partially redefining the the urban configuration of the city and the waterfront on a wider scale, with new qualities and levels of connection.